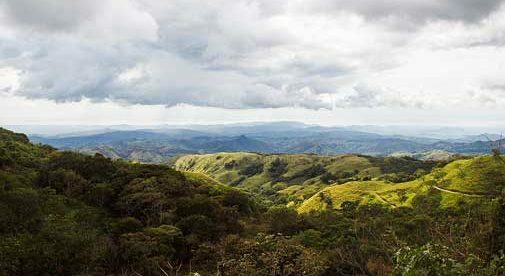 If you’ve done any reading at all about Costa Rica, you’ve almost certainly come across the phrase Pura Vida. Literally it means “pure life,” but it’s practical meaning can be a bit tough to nail down. It can be a greeting, it can be a response and replace “you’re welcome,” it can replace “cheese,” when someone is about to snap a group photo and everyone is holding up their peace signs and thumbs-up. This is a big part of what makes life in Costa Rica so appealing; the innate opportunity to enjoy the simple things that can make daily life feel magical. 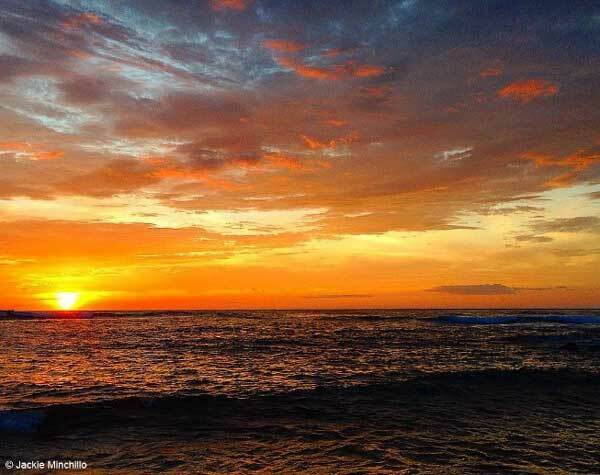 My husband, Junior, and I landed on Costa Rica’s northern Pacific coast, also known as the Gold Coast, and it may sound a little silly, but after experiencing it in person you’ll understand how we could say that sunsets are one of our favorite things about living here. The sunsets themselves are absolutely breathtaking, especially in the rainy season when the light bounces off the cloud formations to create colors and patterns that look like they’re straight from a painting. Not to mention the geographic location lends to sunsets directly over the crystal waters of the Pacific, and silhouettes of sail boats and surfers are like the cherry on top of the whole scene. Not only is the sunset itself amazing, but this is a sort of social hour. It’s a great excuse to take a walk on the beach, feel the sand beneath your feet, and breathe in the fresh ocean breeze. And it’s just as good of an excuse for all of your neighbors and friends, making “sunset” more of a verb than a noun. And the best part of all? It’s a free show, nightly. In the spirit of simple pleasures, I can’t ignore fruit while on this topic. The amount and accessibility of fresh, delicious, tropical fruit here has changed our lives. Not only can we find it inexpensively at the many ferias or roadside markets, but sometimes we don’t even need to buy it. I could walk my dog down the street right now and pick a few mangos and papayas along the way—there are fruit trees it seems everywhere you turn. My husband and I now start each day with a smoothie that’s just packed with fresh, organic produce. This jumpstart to the day is easy and tastes great, and starting the day the same way in our previous life back in Chicago would have felt more like a chore than anything else. The abundance of nature is also a pure and simple joy that’s free to enjoy and all around us in Costa Rica. While it’s monetarily inexpensive, it’s invaluable in the way it has enhanced our daily life. Whether I am stopping to watch a howler monkey cross over the road on a monkey bridge that’s been placed by the municipality, leaving a friend’s house from dinner and catching an anteater moseying across the road, or taking a day trip to hike through one of the many vast and well-maintained national parks, I never tire of spotting and discovering new creatures and plants. And because the country is so dedicated to the protection of its natural environment, I know I can look forward to many more years of happy discovery.